I will start by saying that I don't have any photographs from this holiday to hand - they are all in loft and away from prying eyes. My first taste of freedom was before the days of camera phones and I can't believe I took a disposable camera on holiday with me! How times change. They are of course all perfectly organised in a special holiday scrap book I created - I'm pretty sure my boarding cards are still in there too. I must dig it out soon. 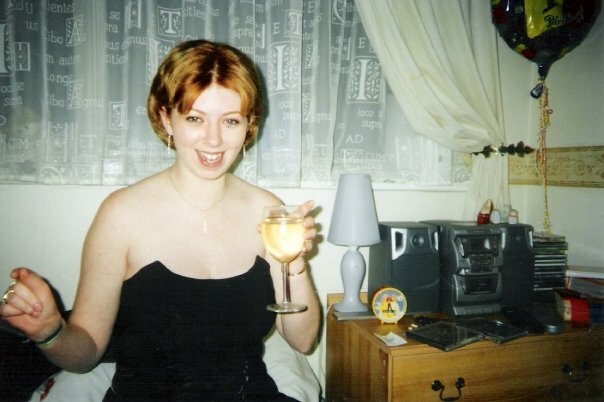 This is me at 18! So I decided to book a 10 day holiday to Tenerife with my BFF as something to look forward to when we finished our A Levels. This wasn't just any holiday - it was an 18-30s holiday and we couldn't wait to let our hair down. I can't remember the exact cost and I think because we finished sixth form before the schools broke up we got a fairly decent deal. I am guessing somewhere around the £400 for a self catering apartment? We simply couldn't wait for the day to arrive and going on various holidays was all our entire Sixth Form block used to talk about. This was also going to be my first ever time on a plane! Oh my goodness! The prep! Everything of course had to be new. I was still skinny enough to feel confident wearing bikinis back then and bought one for every day. In the end of course I ended up wearing the same blue glittery number (padded!!!) every single day. We compiled lists upon lists of all the new make up and toiletries we were going to buy and used to spend our free time stocking up at boots and superdrug. I dread to think how much we spent. We planned every last detail including buying new travel bags and planning our travelling outfit to perfection. We also endured our first ever leg and bikini wax together. Good times?? Our apartment was very basic but we had a balcony with a pool view and it wasn't infested with anything! I don't remember it being too noisy either but perhaps I have selective hearing. There was a little cafe/bar near reception where we would feast on bacon butties every morning and we would ALWAYS grab our spot by the pool hours before anyone else surfaced. It was a little toddle to the beach and I remember there were LOTS of palm trees. My friend seemed to live on Pot Noodles and we found it hilarious that we didn't have any cutlery so we would either steal plastic spoons from the cafe/takeaways or use the wooden spoon that was in our kitchen drawer! HaHa! *Booze Cruise - the scene of some pretty wild games that involved all of the 17 year olds on board staying naked for the whole trip - yep really! 18-30 nights out would usually involve a rep-led bar crawl around the Veronicas strip with unlimited free booze and jelly shots in every bar. There were dares, banter and everyone had a fab time. During the hen party all of the girls had to go out in a sexed up version of their PJ's/nightwear. The girls were kept separate from the boys all night and then met up at some sort of underground rave at the end of the night. Let's just say I think they kept the room dark for a reason and it was probably best we didn't see most of what was going on! We had to abide by certain rules that night such as only use the male toilets and if we were caught out we'd have to down a couple of shots. I remember we arrived at around 11pm on our first night and headed straight out 'on the drink'. We found a lovely little beach bar and to be honest it turned out to be one of our favourite spots. We'd always start the night here if we weren't on a club night. We got to know the staff and they would make our favourite cocktails every night - my favourite was an 'after eight' that tasted just like an after eight mint. 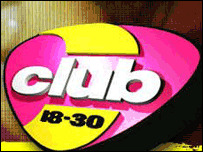 The DJ would play new versions of the songs we loved at home and was constantly trying to flog us his mix CD for only £5! Every time I hear Nelly's 'Hot in Here' I am transported right back to that bar. Would I let my kids go? 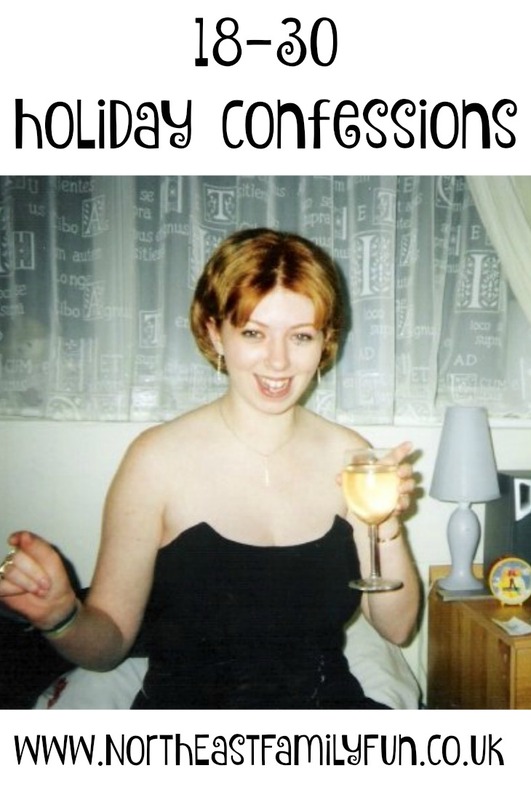 I look back on my 18-30s holiday with nothing but fond memories. Yes we could have been REALLY wild if we had wanted to but we were both sensible girls and still had a fab time without going OTT. I am pretty sure I would encourage my kids to book a holiday like this for when their A Levels finish and I'm so happy I had the chance to let my hair down before proper the proper 'adulting' started . It's sad to think that this was 14 years ago now. Seriously, where does the time go?? Did you go on any wild holidays when you were 18? I was Mrs Captain Sensible even back when I was 18! I went on a weekend 18-30s holiday to Butlins, that's about as wild as I got! I went to Blackpool with 9 of my friends for the weekend on my 18th birthday. I had a brilliant time and drank far, far too much. This is so fun to read - I never did anything like that (far too sensible/boring) although I did have a fantastic island hop around Greece with my oldest friend. More tavernas than toga parties although I did pack a LOT of shoes and nail varnish.